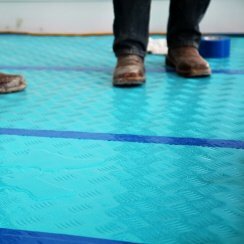 Aqua Shield® is a flame retardant, reusable surface protector. 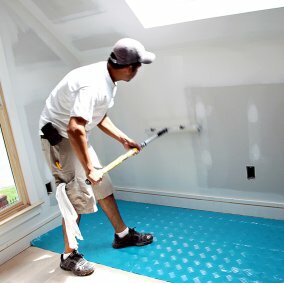 The durable Masonite alternative is leak proof and slip resistant. 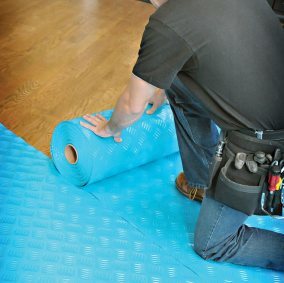 The heavy duty roll comes in multiple thicknesses and protects all types of surfaces during the manufacturing, building and repair processes. 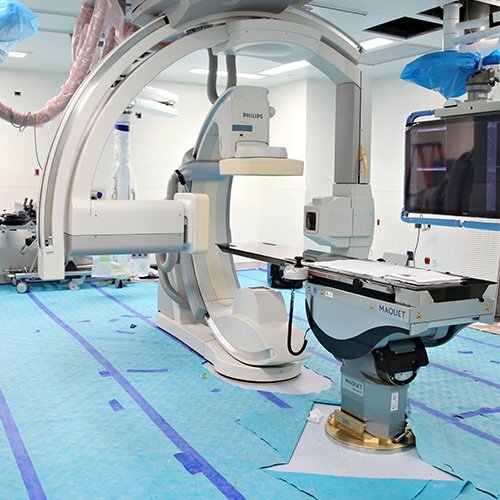 The dust-free surface protector is ideal for healthcare facilities and large construction jobs. Quick and easy installation dramatically cuts labor cost – no more bulky Masonite. Up to 40 mil thickness for maximum strength against forklifts and scissor lifts. Looking for an lighter alternative? Check out Trimaco’s line of protective films. 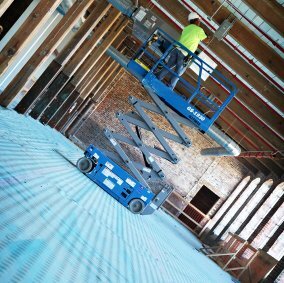 Up to 40 mil thickness – forklift and scissor lift strong! AquaShield: For temporary use only. Trimaco is not responsible for adhesion issues. Test prior to use. Consult with flooring and/or finish manufacturer to determine if this product is suitable to use prior to curing. Do not use where product cannot be firmly secured to surface. In no event will Trimaco’s aggregate liability exceed the amount paid for this product. Calculation is based off of 36in x 393ft roll of Aqua Shield and 180ft Aqua Shield Seam Tape. Rounded up to nearest whole roll.